Assist provides insights that are meaningful, actionable and of real value, enabling you to make immediate operational and long-term strategic decisions more effectively. Our CLOUD ERP Reporting provides a real-time view through multiple standard reports, flexible report building tools and custom reports built to meet your unique business needs. Tight integration and real-time synchronization of all sales channels enables you to view product performance, inventory usages, profitability and other key performance indices for your entire business. Assist provides you with a full library of standard reports as well as the ability to build your own reports. Outputs include standard spooled reports, on-screen with drill down, DB2 data files, download to Excel spreadsheets, Assist open source iReports and common report tools such Cognos™ or Crystal Reports. Reports are categorized in three groups: operational, end user and management reporting. Get instant visibility across your business to analyze and respond to market trends and make better decisions. Utilize a broad array of integrated business intelligence tools to generate comprehensive information management solutions. Customizable report generation, inquiry, and analysis applications work seamlessly with the entire Assist ERP system to provide real-time insights to every aspect of your business. • TRACK. Extract, transform and integrate data into a data warehouse as well as monitor data in a real-time environment. • ANALIZE. Analyze the data using business intelligence tools. • MODEL. Formulate models for forecasting, optimization and scenario planning utilizing advanced analytics. • DECIDE. Arrive at a decision based on analysis and pre-existing or newly developed models. • ADJUST/ACT. Adjust the business process being addressed. Assist can evaluate the performance of products and services based on any number of selected attributes then organize the results on a daily, weekly or yearly basis. You can drill down into the results to determine top performing products and view totals and per unit results by retail price, margin or relevant markets, to name just a few options. • Drill down from any indicator to the underlying transaction. • Communicate information quickly and effectively in real-rime. • Provide all team members with access to the latest information such as overdue invoices or accepting payments. • Securely access business insights from anywhere over any devise with a web browser. • Enable your finance team to get the latest financial and operational measures in real-time to a geographically distributed board of directors. • Identity the most profitable inventory items. • Retrieve individual salesperson sales activity. • View which customers are being sold to. • Identify the items or class of item that are selling most. • What gross profit margin individual items are being sold for. Assist provides complete set of reporting tools for inventory management, purchasing and warehouse management that improves and delivers an end-to-end procure-to-pay process. You get real-time visibility into demand, supply, costs and fulfillment measures and trends. • Cut inventory costs by tightening control of stock levels while increasing operational efficiencies. • Increase product margins by effectively managing pricing based on different types of customers, channel and currencies. • Control inventory replenishment and ensure that you have enough on hand to fill anticipated orders, while keeping excess stock to a minimum. Assist can help you easily determine the status of inventory through comprehensive search criteria. View status of on-hand, on-order, reserved and backordered quantities for single or grouped SKUs. Drill down into purchasing and customer buying history per SKU. View average daily, weekly or monthly rate of sale for single or grouped SKUs. Detailed reporting of returns including issue date, status, reason for return and associated order information allows you to track RMA risks and set parameters accordingly. Implementing smart return policies by tracking and processing returns and replacements builds customer loyalty and increases brand preference. Assist helps predicts future activity based on sales reports from your reseller channels. Having a single system to cull and consolidate forecasts from all of your sales channels provides you with a more accurate, clearer window into future product and service demands. It also allows you to better identify and respond to market trends and meet customer demands. • Item division and class or any combination of these criteria. • Sales reps can provide accurate, real-time forecasts. • Aggregate reports across territories, teams, and diverse reseller channels. • Project the amount of sales, probability of close and amount of transactions. • Sales reps can have multiple sales forecasting options by item or pipeline. • Visibility into the channel pipeline to allow mangers to assess the potential revenue at each phase of the sales cycle. • Identify market trends and anticipate customer demands to stay ahead of the competition. 1. 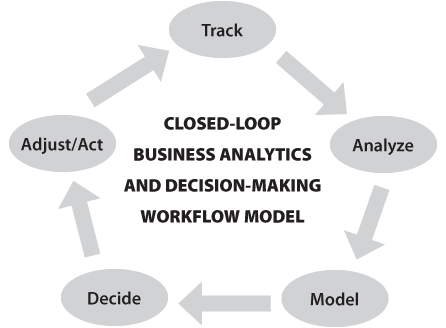 Closed-loop analytics and business intelligence. 2. Standard and build-your-own reports. 4. Identify market trends and anticipate customer demands. 5. Visibility into the channel pipeline. Staples Promotional Products is dedicated to delivering your brand, done right, on time. They also offer a quality guarantee on all products, with exceptional customer service that is unmatched in the industry.